Following the defeat and subsequent disappearance of the Mad Gear Gang, a small group known only as Skull Cross is responsible for a new uprising of vandalism, terrorism and death. The government of Metro City is at a complete loss. 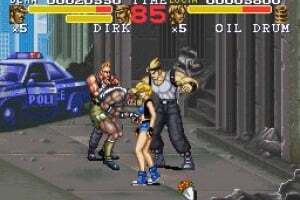 Metro City's mayor, Mike Haggar, and Guy prepare to take on the new gang with Cody's old friend, Lucia, when suddenly a mystery man named Dean with a special grudge against Skull Cross shows up to join the action. The streets are dangerous! Take on any member of Skull Cross that stands between you and your goal. Remember to grab some food to revitalise your strength, or you may find yourself face down in those dangerous streets! Really? I hope this gets released soon. I've only ever played the ROM version so I'll download it immediately. The European also has a cheats menu that no other version has. This will easily be one of the best purchases on VC, not just because it's a fantastic game, but also because it's also one of the rarest SNES games - Just a cartridge can go for a ton on eBay. 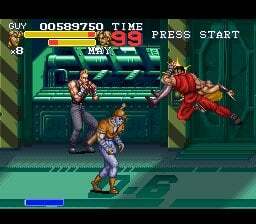 By the way the two above me are talking, this is better than that crapfest that is Final Fight 2. OH YES!! 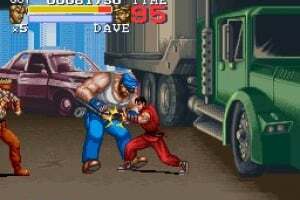 I love this game so much i remember playing it when i was a kid.I always use Dean and Mayor Haggar they are my two favourite characters in the game.I cant wait to get this. 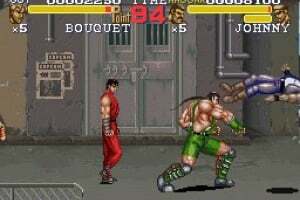 Ooooo, I know what beat'em up we're receiving on the VC next! 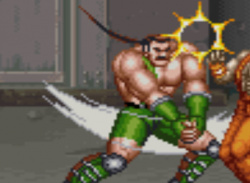 And I love Haggar's elongated ponytail. I agree. ^^ How 'bout Mega Man X? Its fantastic game ,one of the best for me in 16 bit area. This owns FF1 on the SNES, too. This game has been rated by the ESRB for the Wii as well. 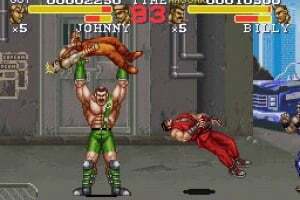 Mayor Haggar is the buffest mayor of all, well, Mayortown. And he still fights while in office. Inspiring of him. I think Capcom'll release this'un next month. 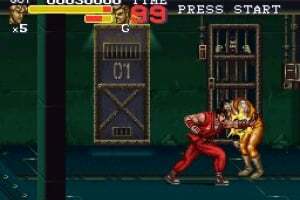 Is this as good as Streets of Rage 2? Its different. 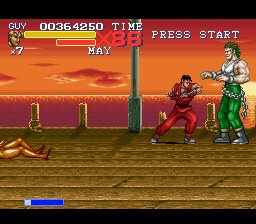 I have only been able to play Final Fight 3 as a ROM (since it came out in very limited numbers here; I never once seen it for sale) and wasn't able to do the Super Moves with a keyboard. I enjoyed it though. I'll be getting it as soon as it comes out in Europe. 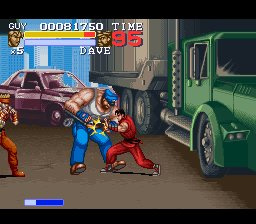 I've played and completed Streets of Rage 2 though and thinking back at the two experiences, I can only say that they are different. Although that probably doesn't help much. I couldn't decide which one is the better game. 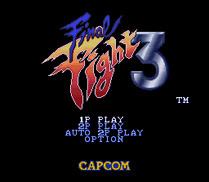 I think that when I get it on VC, I'll enjoy Final Fight 3 more because the characters have a variety of attacks and grabs. 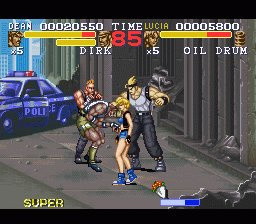 But I'd definitely say Streets of Rage 2 is better than Final Fight 1 & 2 for sure. 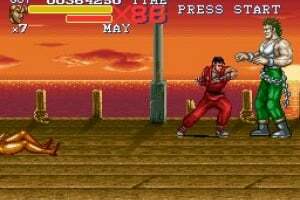 Thanks for the response I will probably be tired of Streets of Rage 2 anyway when this comes out in EU, so this seems like a good beat-em-up game to get at that time. The special moves and branching paths alone put this above the other games in the series for me. 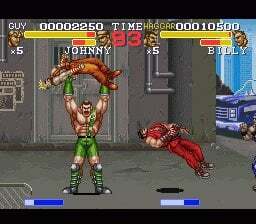 Beat Em Ups on the SNES just don't get better than this. Looks like I was wrong. Got released in January instead. 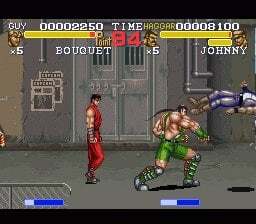 For me none of the console Final Fight games had the magic of the original Final Fight in the arcades. Even this most feature rich version of the game doesn't do it for me. 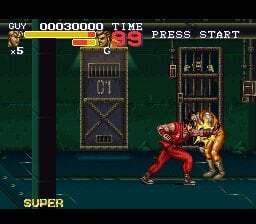 Best Console scrolling brawler is Streets of Rage 2 IMO. 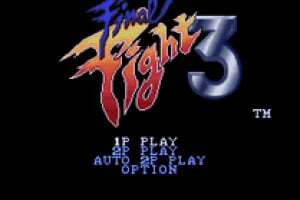 I was never a fan of the original SoR and SoR 3 was unfortunately not as enjoyable as SoR 2 IMO. 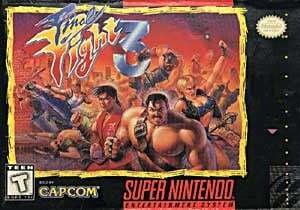 That being said, I picked this up on the VC, it's a competant brawler, but not in the same leauge as SoR 2 IMHO. 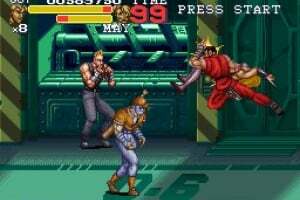 I remember playing this series on the Arcades, so i wanted to ask if the Arcades are better version than the Snes, and is there a chance a Arcade version gets released?